Browse: Home / Astrofizzisists to da rescue! Consider the scene. It’s 1962, Michael Jackson is still a black boy, not a White woman and JFK had yet to be assassinated by LBJ and CIA. America has fallen behind the USSR in the space race and the President tells NASA to put a man on the moon. Pronto. But the complexity of the astrophysics has the scientists and engineers stumped. Even with the best of German rocket scientists they’re struggling. The astrophysicists of the Max Plank Institute and Ivy League colleges are not up to the job. The situation gets desperate. What can NASA do? 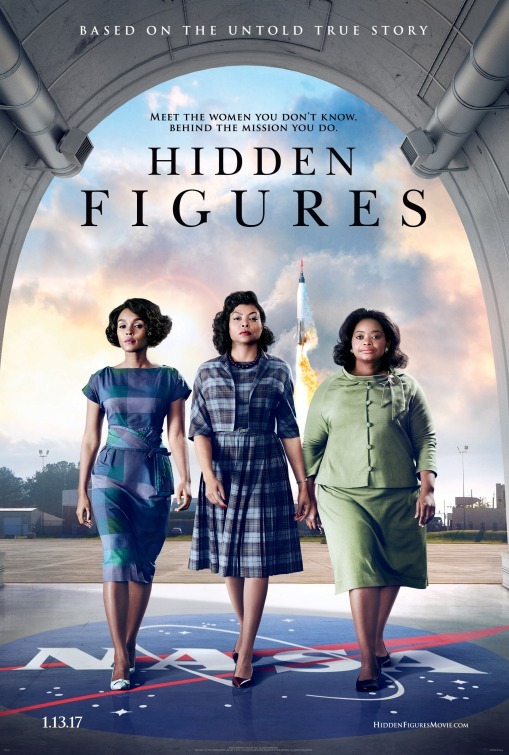 This is the story of a movie called Hidden Figures which has just gone on release. It’s going to win every award going. How do I know this? Simply because it hits all the required buttons. (Well maybe not all. What if they had an evil Nazi-sympathising White man sabotage the rocket so that it crashed into a bus full of Holocau$t™ survivors? Yeah …. but that would have suggested White men are cleverer than Women Of Colour. And that would defeat the whole purpose.) According to the blurb the plot is ‘based on a true story’. Mmm…Let me guess: There were indeed some Women Of Colour working at NASA. Bringing in the coffee and cleaning the latrines. As nature ordained. But with a little artistic license (((Hollyweird))) transforms them into the mathematical luminaries of the film. Now you might ask why I’m writing about this. After all it’s just another example of the Great Brainwashing Project that’s been in progress for more than fifty years. But it’s also an example of how our globalist overlords are losing touch. Because even the most brainwashed deluded White liberal (DWL) watching this is going to be struck by the jarring cognitive dissonance. The reality of their personal interactions with black women and their depiction in the film as astrophysical geeks will be enough to wreck their heads. And I suggest that many Blue Pillers will start to laugh at the movie’s premise. They’ll mock. And mockery is the one weapon which PC gauleiters are powerless to counter. They’ll shrink before ridicule like vampires before a crucifix and as they slink to their crypt the giant cocoon of lies they’ve built around our lives will collapse into a heap of dust, to be blown away by an aroused people. Ok, maybe I got a bit carried away there at the end and it’s not going to be that simple. But the tide has turned. I can see it everywhere. Already I sense the sweet aroma of shitlib panic. So mock, laugh, ridicule, expose the insanity of the equalists. And do it with humour and eye-rolling condescension.